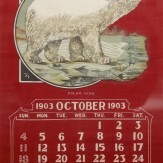 This calendar was printed in 1903, with the Big Game animal theme. Bemis Bag Co. was (and still is) a business founded before the civil war, producing canvas bags for just about everything to be shipped in or stored in. Consequently, the designs printed on the bags were important for advertising the products. 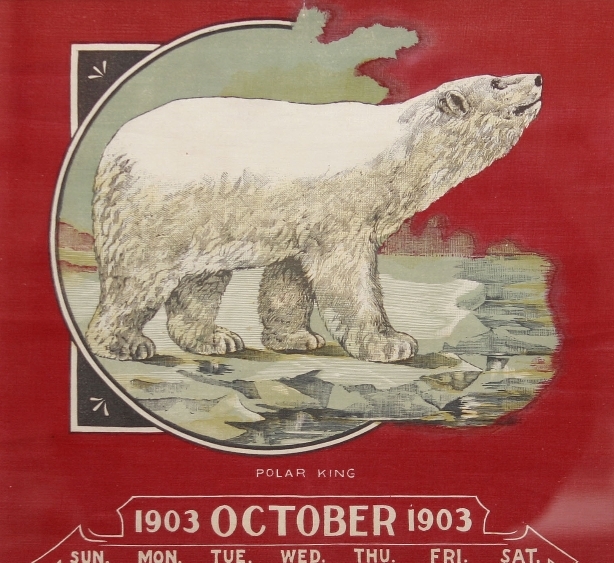 These calendars were produced to show the level of printing available, thus they have some of the best color and design of their time. We have framed each page in conservation frames. 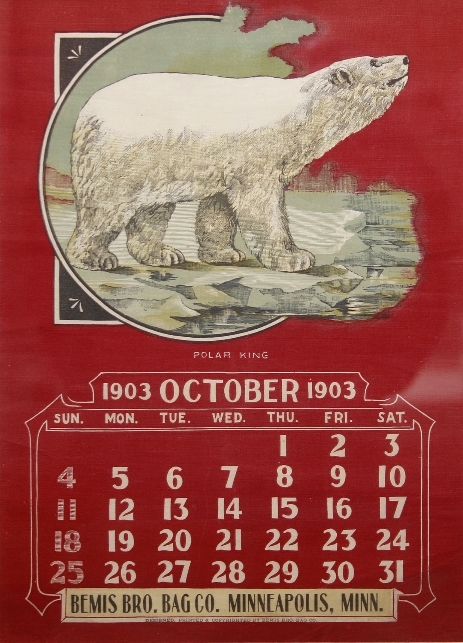 This one is the Polar Bear (October). Printed on canvas. In good condition with some areas of wear. 15" x 10 ¾". Framed 22.5" x 18.25". Size: 15" x 10 3/4"